In good news for property investors, rents are on the way up in many parts of New South Wales. Renters in Sydney pay the most out of all the capital cities ($582 a week). Rents are up 0.5 per cent over the first three months of 2018 — the weakest first quarter for rental growth in Sydney since 2009. 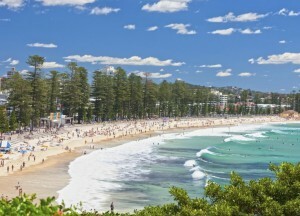 Sydney’s Northern Beaches is the most expensive region to rent in New South Wales, with a median rent of $877 per week (up 1.9 per cent over the March quarter), followed by the Eastern Suburbs at $848 per week (up 1.8 per cent over the March quarter). Rents are most affordable in Murray ($282) and Far West and Orana ($283). Far West and Orana also had the highest quarterly increase in rent (+6.7 per cent) and the highest current rental yield of 8.3 per cent (up 0.7 per cent over the past 12 months). To help you understand what’s happening with rents throughout NSW, first let’s look at the national overview from CoreLogic and then their rental figures for the various regions of NSW. Nationally, rents climbed by 0.3 per cent in March to be 1.1 per cent higher over the first quarter of 2018 and 2.2 per cent higher over the 12 months to March 2018. In comparison to the first three months of 2017 when rents increased by 1.5 per cent, the growth in rental prices has slowed (-0.4 per cent). Rental growth over the first quarter is higher in the regional markets (+1.2 per cent) than in the capital cities (+1.0 per cent). This trend is also reflected in activity over the past 12 months — rents are up 3.1 per cent in the regions compared to an increase of 1.9 per cent across the capitals. Over the first quarter, rents climbed in all capital cities except for Darwin (-0.3 per cent). The highest quarterly rental increases were in Hobart (+5.0 per cent), which also reported its strongest first quarter growth on record, and Canberra (+2.3 per cent). Over the past 12 months, Hobart reported the highest growth in rental rates (+11.7 per cent). 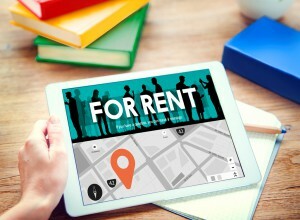 Rents climbed higher in all capital cities except Perth (-1.3 per cent) and Darwin (-1.6 per cent). The national median rent is $427 ($426 for houses and $430 for units). Across the capital cities, the median rental is $459 per week. The median house rental in the capital cities is $460 compared to $453 for units. Across the regional markets, both houses and units averaged $355 per week. At $374, Adelaide has the cheapest weekly rent out of all the capital cities. The highest median weekly rent is in Sydney, where the cost is $582. Rental yields have increased nationally by 0.1 per cent over the past 12 months to 3.68 per cent. The highest rental yields are in Darwin (5.83 per cent) and Hobart (5.01 per cent). Melbourne (2.93 per cent) has the lowest rental yields, followed by Sydney (3.20 per cent). R enters in Sydney pay the most out of all the capital cities ($582 a week). Rents are up 0.5 per cent over the first three months of 2018 — the weakest first quarter for rental growth in Sydney since 2009. 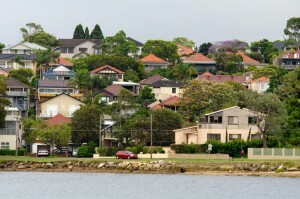 Rental falls for the quarter were evident in Baulkham Hills and Hawkesbury (-0.7 per cent), Sydney’s Inner West (-0.2 per cent) and Inner South West (-0.3 per cent). Parramatta, South West Sydney and Sutherland all recorded a quarterly decline of 0.4 per cent. Sydney rents increased by 0.5% over the first quarter of 2018 compared to a 1.5% increase in rents across regional New South Wales. Over the 12 months to March 2018, Sydney rental rates were 1.7% higher compared to a 3.1% increase in rents outside of Sydney. Gross rental yields in Sydney are currently recorded at 3.20% compared to 3.06% a year ago while in regional New South Wales yields were recorded at 4.72% a year ago compared to 4.54% currently. Across the Sydney SA4 regions, an increasing number of regions have recorded a decline in rents over the past quarter. Despite the weak quarterly figures, the Baulkham Hills and Hawkesbury region was the only one in which rental rates fell over the past year. With dwelling values falling and rents generally continuing to rise most regions of the city have recorded an increase in yields over the year. Regional New South Wales housing markets have, for the most part, experienced increases in rents over both the quarter and the past year. Most of the markets in regional New South Wales have experienced a softening of yields over the past year as growth in dwelling values has outstripped growth in rental rates. Here’s what’s happening to rents in Victoria.